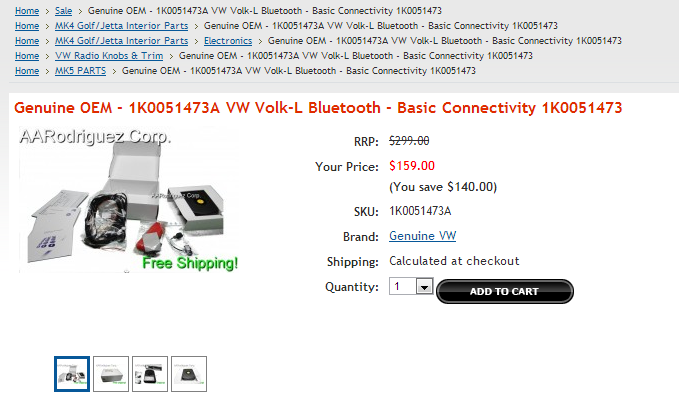 VW Volk-L Bluetooth Kit for MK5 cars $140 shipped! - AARodriguez Corp. Provides the convenience and safety of hands-free calling: Volk-L wirelessly connects compatible BluetoothTM enabled phones. VW DOES NOT RECOMMEND RETROFITTING A VOLK-L BLUETOOTH HANDSFREE SYSTEM WITH THE ACCESSORY MDI BOX 5N0-057-342 With more County and State laws enacted against using hand-held phones while driving, Volk-L helps drivers stay legal and stay connected. A built-in microphone amplifies voice transmission and reception through the vehicles stereo system. Provides volume control and allows the driver to switch to other audio sources using the steering wheel audio controls, radio controls or the navigation system. Accesses cell phone music and transmits it through the vehicles stereo system (with RNS510 Radio ONLY). 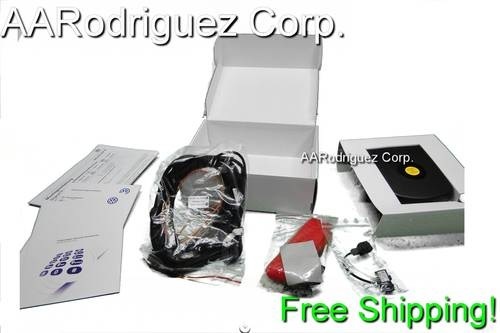 Installation kit includes Interface box, Microphone, Wiring set, Fitting material, Volk-L User Guide and Installation instructions. Volk-L microphone and interface box are installed out of sight. For more information, visit http://www.govolkl.com/. Note: Volk-L does NOT provide the same functionality as the 9W3 Factory Bluetooth option - does not integrate the phonebook with the Premium 8, RNS315, and RNS510 or display phone information in the MFI. Volk-L does not include the phone buttons like the 9W2 Factory Bluetooth option. This unit will need to be programmed by a local VW dealer.